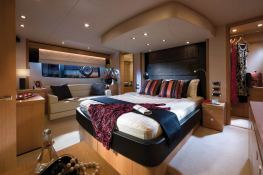 Continuing its quest for perfection, Sunseeker has made the Manhattan 63 a success by bringing together innovation, luxury and performance on the same yacht. 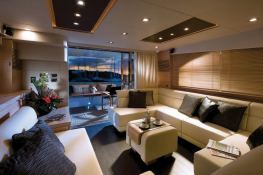 From the flybridge to the helm, you can feel the wind on your face as well as assess all the capabilities of this yacht. 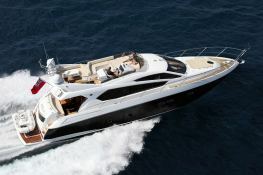 She is the pride of Sunseeker. 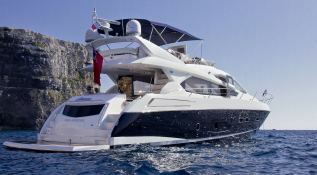 With her 3 cabins containing ensuite bathrooms this Sunseeker Manhattan 63 motor yacht is able to accommodate up to 6 passengers. 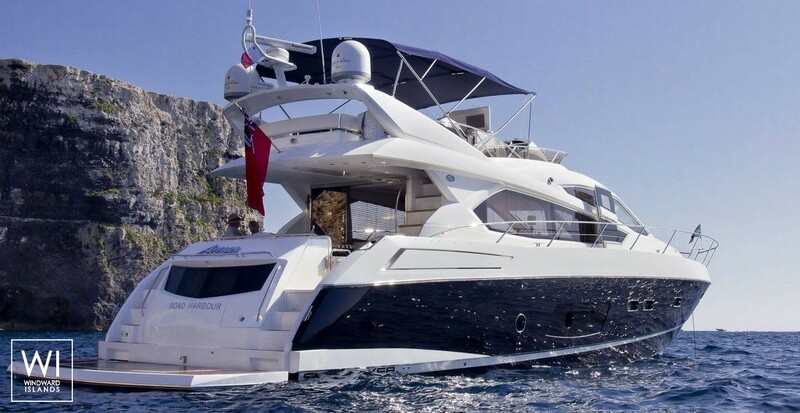 Chartering this Sunseeker yacht will allow you to reach countless sandy beaches between Phang Nga and Kho Phi Phi or in the Andaman Sea. 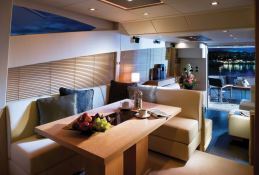 The two crew members will ensure you experience unique and unforgettable moments during your luxury yacht charter. 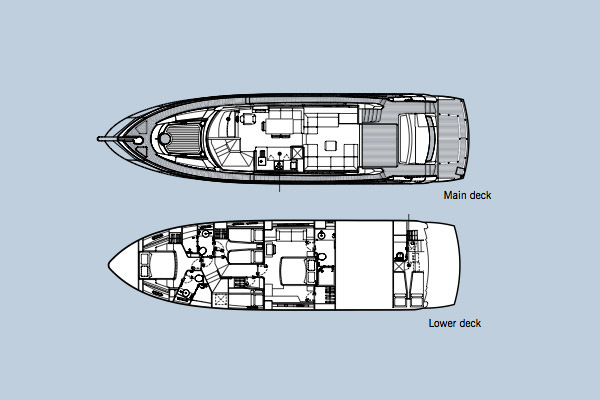 This motoryacht is available for yacht charter with a base price of 23 000 € (approximatly 25 938 $).